Posted byEditor	 January 31, 2019 April 9, 2019 Leave a comment on How to increase the Wi-Fi connection speed? While, the most probable answer to having a fast Wi-Fi connection is upgrading your Internet Connection a higher speed plan, but some people after upgrading still don’t get the speed that they are paying for. To get the most out of your internet connection, we have got some general software and hardware fixes that will help you to get the maximum out of your internet connection. Let’s have a look at how you can increase the speed of your Wi-Fi connection! Before you can take steps to increase your Wi-Fi speed, you should know why is it slow in the first place and what’s causing it to slow down. Some of the common factors that could be slowing down your Wi-Fi connection includes. Before you proceed any further, the first and foremost thing that you gotta do is run a speed test. You can always try out our dedicated speed test tool that will help you find out what is the speed of your current Internet Connection. After you run the Speed Test, it will tell you about how much speed you are currently getting from your ISP. You can then find the difference between what you are paying for and what you are getting. It is as normal to have 1 MBps above what you are paying or 1 MBps below what you are paying for. The speeds may fluctuate from time to time, but 1 MBps above or below is just fine! Before running a speed test, make sure that you aren’t downloading anything as to get the best results possible! Outdated hardware is one of the most common causes of why you are experiencing slow connection speeds while surfing the internet. Make sure that the equipment that you use including your computers, routers, and modems are capable of handling the speeds that your ISP provides. Most ISPs won’t give customers a dedicated internet connection, instead, multiple users in the same area will be connected to the same network causing high traffic which can result in your Internet connection being affected. If your Internet Speed Test results aren’t satisfying then it could be that your Internet Connection is being throttled by your ISP. Internet throttling means “intentionally slowing down your internet connection”. ISPs may throttle your Internet connection due to one reason or another. Contact your ISP and ask them to provide you with the speeds that you are paying for. Many times, it can be that a good number of devices are connected to the same Wi-Fi connection and all of them are using the internet for different purpose due to which the speed can slow down. The router should be placed at a location where it can easily provide the best signals possible. It is a bad idea to put a wireless router in cabinets or basements where it wouldn’t be able to provide the best signals. How to improve Wi-Fi speeds? One of the things that people do is upgrade their connection plan which can increase their Wi-Fi connection speed, but there are some other ways too that one can apply can increase their Wi-Fi speeds. Find out about the model of Internet Router/Modem. If your Router/Modem is outdated, then it is best that you upgrade your router. Sometimes when you really need fast internet connection then a very useful solution to having a fast Internet connection is using an Ethernet cable instead of Wi-Fi connection. This will remove the lag time between the signals departure and you will most likely have the maximum internet speed. Unplugging your router and allowing it to clear all of its caches and start again from scratch is called Power-Cycling. Power-Cycling will let your router to start from scratch and after the router reboots, it will re-select the Wi-Fi Channel which is the least busy one. It could be that one Wi-Fi Channel may be very busy at one time and not at others. So, allowing your router to reboot will let it choose the best Wi-Fi Channel. The best method for this is to program your router to restart itself each day from the settings panel of your router. Wi-Fi Range Extenders are small devices that amplify the signals of your Wi-Fi Router, providing maximum signals to places where the signals were weak before. Wi-Fi Ranger Extenders are a cheaper option than buying a new Router. Before you buy a Wi-Fi Range Extender, make sure that it will work with the model of your Router. Most of the times upgrading the Firmware version of your router helps to have fast Wi-Fi speeds. Check out the router settings page and see if there is an update available. If Yes, then update the firmware of your router. You should always keep your PC/smartphone/tablet updated to the latest version of the Operating System in order to get the maximum speeds possible. Sometimes malwares, adwares, or other viruses can interfere with your device’s ability to access the Internet. These viruses can consume a greater part of your Internet. Running an antivirus scan once in a while wouldn’t hurt you or your device and it will also make sure that nothing harmful is located on your device. Everything may seem to be running smooth, but you perform an antivirus scan once a week so, as to make sure everything is safe and secure. An outdated web browser may also result in the webpages taking a lot of time to load up. It is recommended that you keep your browser up-to-date. Another thing that you should do is clear the browser’s cache frequently which may also help in smooth internet performance. Removing toolbars and useless plugins from Web Browser also helps in having a faster browsing experience. Another thing that you can do is limit bandwidth. That includes both the users and services. If a person is using his computer to download too much and is sucking all the internet towards his computer, then you can always limit his bandwidth through the router’s settings in order to prevent your Wi-Fi speeds from slowing down. Video chats, online gaming, and video streaming are online services that use a lot of bandwidth and you can limit the bandwidth for these services through Quality of Service (QoS) settings. Routers use different wireless channels to send and receive signals. 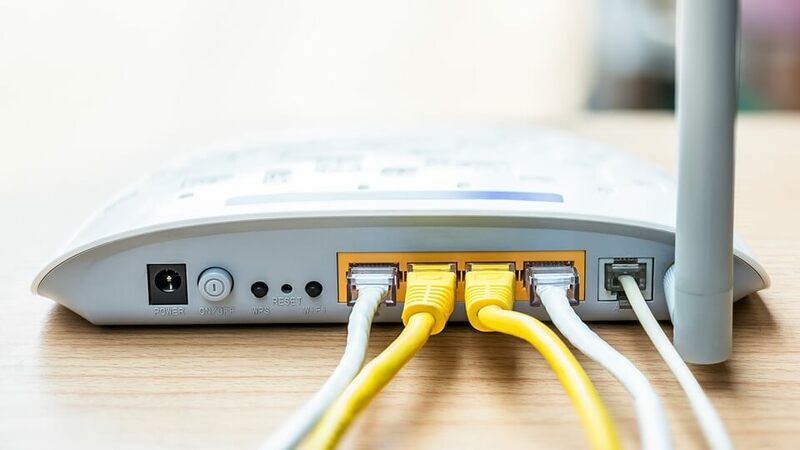 Changing channels on your router can sometimes help you to increase the speed of your Wi-Fi connection.